MWA is proud to introduce the Jury Panel of MWA 2019! The purpose of the formation of Jury Panel is to rate the entries with their professionalism and expertise to decide the winners for Site of the Month. The Jury Panel will be briefed on the evaluation criteria without any disclosure on the identity of the competition participants. They will visit the site, starting with the URL provided by the participants, and assume the role of target user. After reviewing the site, they enter their scores and move on the next site. For more details, please read here. Judging has already begun, and we would like to recognise the efforts of your peers and experts in this Awards. It is a big task that we can never accomplish without them! Feel free to check out their work – and connect with them if you can! 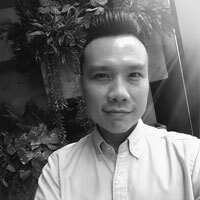 Chan Aik Hoong started his career in the online marketing and social advertising industry as a new media designer with Emanon. That’s the turning point in his life whereby he found great interest in creating a wide range of interactive communication products. As the desire to develop in this industry grew stronger, he joined DomainPlus as the project manager to oversee and monitor the whole process. He always has unique and wise insights to benefit the people around him. With dedication in the online marketing & advertising industry, he successfully move a huge leap by becoming the Director in Inspiren; where he can stand up tall and shine with his specialized technical skill and innovative ideas. Now he’s supporting multiple online promotion and marketing channels include Facebook Ads, Google AdWords, SEO accounts management, as well as website customization. We think our experience; vision and personal interests lend themselves to accomplishing your creative and business goals. Wide Web. We build solutions that lead their industry and remain at the top for a long time. You can see them throughout our portfolio online. approach, philosophy, and ethic of work have proven their efficiency throughout hundreds of projects, resulting in tremendous, long lasting successes. Over 10 years of experience in website design and development, manages multiple publishers and hotels websites under his sleeve. 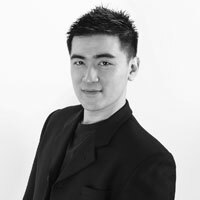 Kevin is a co-founder and a passionate web designer who has big aspirations for his company to be the best in the world. His approach to good design is not to reinvent the wheel, especially when one does not have the skillsets to copy. 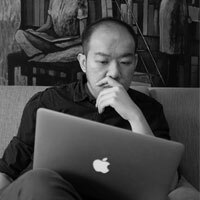 Lok is the founder of Dezain Studio (Singapore & Malaysia). Lok has more than 20 years of creative design experience in Branding, Packaging and Online industries. Lok earned his Bachelor of Arts in Advertising Degree from RMIT University, Melbourne, Australia in 1996. Lok has direct responsibility for day-to-day operation of Dezain Studio. He heads and directs the creative team. His attention to detail and adherence to established design objectives results in consistently well-targeted solutions for all our clients. 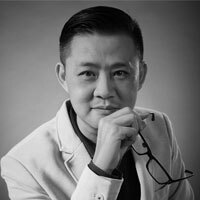 Prior to founding Dezain Studio, he was the Creative Head of Asiacontent.com Limited, Singapore, where he was responsible for the design and supervision of corporate brand, corporate identity, graphic and website development for clients’ projects. Aside from creative design management, Lok is an internationally-known award-winning watercolour artist who actively participates in International Juried Exhibitions and Art Expos and has won over 20 Awards in many prestigious worldwide competitions. Lok is a regular invitation artist to many established International Exhibitions. 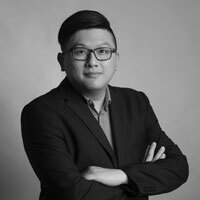 As more and more projects came pouring in thanks to the kind words and recommendations of his clients, Kelvin along with his close knit group of friends he met in the industry founded AdorableGeeks in 2007 as a collective digital alliance of designers, marketers and strategist that spans across Asia. Often working as an extended digital marketing department for various companies in executing effective marketing strategy and comprehensive digital campaigns. 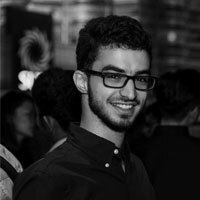 Driven by curiosity and passion to solve problems, Faisal is always wondering why things work the way they do? how can we do them differently? and how can we do them better? Started his career as a freelance developer helping businesses with their web development projects, he saw a need in the market where companies don’t have a dedicated person to help with their website. 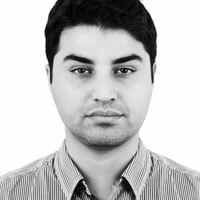 Today Faisal is putting his 10+ years experience in web development and obsession in improving how things work into WebMedic where he helps businesses convert more visitors into customers with less advertising. Jonath Lee began his career as a Multi-media Designer back in year 2003. His work primarily involved in branding collateral design, web design, interactive presentation, 3D visualization, 2D and 3D Animations. His passion towards the web grows stronger as he realizes how the web has help various companies and individual in establishing businesses. He’s also have been providing talks and workshop related to the web and WordPress for local web community. – Personal Site of the month December in Malaysia Website Awards 2017. Entrepreneur, technical digital marketer, eCommerce & UI/UX expert, award-winning startup, recipient of government grant, judge for startup contests, head of eCommerce for largest electrical & electronics retailer, ​founded a web agency. She built an international theme marketplace grow to house 17,000 web designers and online groceries that is fast-growing. Her career never lack of digital marketing and eCommerce. She is inspired to offer advice and motivate startups. 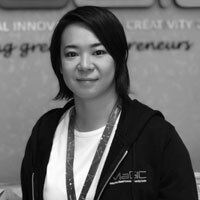 She is passionate in nurture and develop future unicorns of ASEAN.